FAA may choose to conduct a fresh audit of the country's aviation safety oversight mechanism again at the time. FAA may choose to conduct a fresh audit of the country's aviation safety oversight mechanism again at the time. The US Federal Aviation Administration (FAA) may have restored category I status to India's aviation safety oversight mechanism but the upgrade has been accorded based on DGCA's promise to meet four stringent conditions in up to a year's time. The FAA may come for an audit again in 12 months to assess the development. Sources in the Directorate General of Civil Aviation (DGCA) informed the FAA has specified the local aviation regulator would have to hire a total of 72 flight operations inspectors (FOIs), recertify all scheduled airlines, non-scheduled operators (NSOPs) and flying training organisations to retain the top ranking. A senior official in the DGCA told The Indian Express, "We are required to re-certify or issue fresh air operator's permit (AOP) to all scheduled as well as non-scheduled operators, flying training organisations to ensure full compliance with international norms. The entire process would take about a year's time." The FAA may choose to conduct a fresh audit of the aviation safety oversight mechanism again at the time. The DGCA had recertified the two airlines - Air India and Jet Airways - operating to the US, ahead of a FAA audit in December last year; recertification process has now started for IndiGo, SpiceJet, GoAir and Air Costa. "This process of issue of fresh AOPs to scheduled operators will take up to four months," added the official. Newer ventures AirAsia India, Vistara and Air Costa have already been issued their AOP as per new norms laid down under CAP 3100 certification process. The DGCA would also have to recertify all non-scheduled operators and flying training organisations, which would take around a year. As of last month, there were as many as 35 flying training organisations and 122 NSOPs registered with the regulator. The regulator would also have to recruit additional FOIs. The DGCA had received approval from the Centre to hire 75 FOIs at market-linked salaries in January 2014 but has managed to bring on-board 55 FOIs till now. A team of officials from FAA concluded a two-day review of DGCA on March 31, 2015 to review the progress on findings indicated after an audit done in December last year. Subsequently, India was upgraded to CAT I status. The FAA had downgraded India to category II status in safety oversight capability in January last year on two key concerns - lack of training of its officials and lack of full-time FOIs on DGCA's rolls. The downgrade meant that no Indian airline could launch any additional flights to the US and the existing flights to America could be subjected to more checks which could lead to delays. While the downgrade did not mean that Indian airlines were unsafe, it showed that the FAA's Indian counterpart - the Directorate General of Civil Aviation (DGCA) was not adequately equipped to properly monitor the safety performance of Indian carriers. The downgrade additionally barred Indian airlines from code-sharing with their American counterparts. 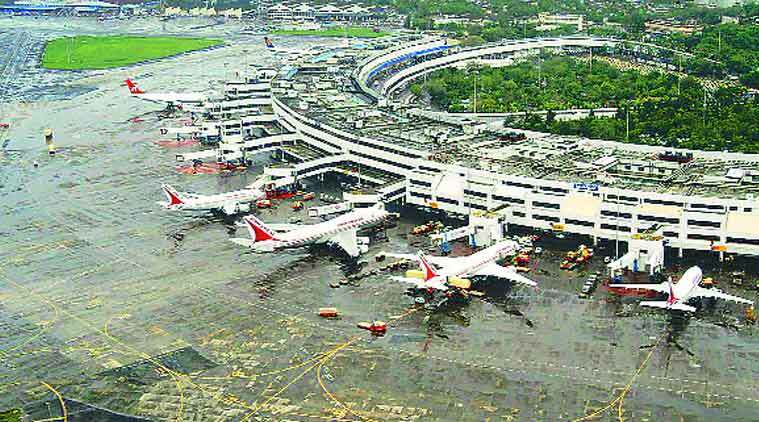 FAA audited eight critical areas of India's safety oversight system between Dec 8 and 12, 2014 and indicated some findings consequently, mainly dealing with the lack of adequate number of flight operations inspectors. Blamed initially on 'engine failure', it emerged on Tuesday that a government jet carrying Serbia's president to Italy last week was forced to turn back when the co-pilot spilled coffee on the instrument board. BELGRADE: Blamed initially on 'engine failure', it emerged on Tuesday that a government jet carrying Serbia's president to Italy last week was forced to turn back when the co-pilot spilled coffee on the instrument board. Advisers to President Tomislav Nikolic described being "thrown around the cabin" when the plane - a 34-year-old French-built Falcon 50 - began tumbling through the air on Friday. The plane landed safely back in Belgrade, but Nikolic was forced to cancel his official visit to meet Pope Francis in the Vatican, and his advisers put the incident down to yet another malfunction on the ageing, incident-prone aircraft. One adviser told Reuters that she would "never step foot on that plane again," saying the fall had lasted "for what seemed like an eternity". An investigation determined that the co-pilot, Bojan Zoric, had spilled coffee on the instrument board "due to ongoing turbulence". "I began wiping the board and accidentally activated the 'emergency slat' button," which automatically turned off the automatic pilot and the plane began losing altitude, Zoric said in the report by Serbia's Civil Aviation Directorate . The pilot took over command, managed to pull the plane up and sought permission to turn back to Belgrade, Zoric added. He said that one of the engines then stopped working but was restarted on the way back to the airport. The Directorate temporarily suspended Zoric's licence on Monday. The plane crashed shortly after takeoff. The pilot tried to perform an emergency landing, but the plane crashed near the airport. All seven occupants, a pilot and six passengers, died in the crash. The plane was destroyed by fire. PHOENIX, April 20, 2015 /PRNewswire/ -- Honeywell Aerospace HON, +0.87% has released version 1 of a new online weather service that will provide pilots with continuously updated, in-flight weather information. The Weather Information Service, which is delivered through a mobile app and tablet, will alert pilots to potentially hazardous weather along their flight path. The app gives pilots a comprehensive, up-to-date view of weather along the planned route of flight, which makes it easier to plan for weather-related diversions. Currently, pilots are often referring to outdated printouts or occasional radio dispatches, some hours old, for weather information. The service can save time for pilots, reduce fuel costs for airlines, and increase safety and comfort for passengers. 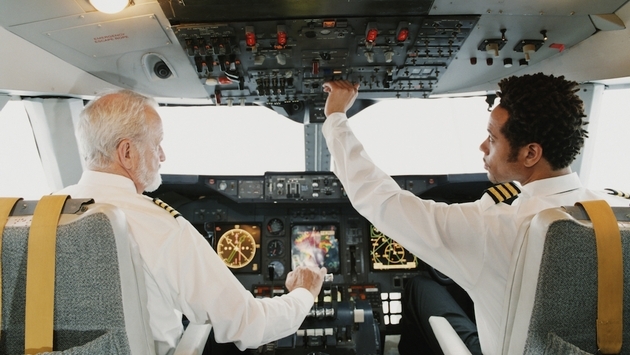 Honeywell's Weather Information Service is simple and fast for pilots to use; it was designed by studying their tablet usage, habits and preferences. The app will be regularly updated to provide the latest features to pilots, and the next release will be available in late 2015. The service builds on the success of its current graphical weather product and will also complement the company's IntuVue 3-D Weather Radar. "The impact of weather and turbulence on airlines and passengers is very significant. At Honeywell, we want to give pilots the early warning services they need to plan more efficient and safer flight paths around bad weather," said Michael Edmonds, vice president, Marketing and Product Management, Honeywell Aerospace. "Traditionally, pilots receive weather information at the start of their day and get updates through radio dispatch, which does not provide real-time information. With the new service, pilots can take advantage of an intuitive display of current weather information to best manage their flight path and get passengers to their destination safely and on time." People are accustomed to having information at their fingertips with personal electronic devices, whether they are on the ground or in the air. Honeywell is placing more emphasis on the customer experience and support throughout all phases of a flight by offering services to ensure that anyone involved in flying has easy access to the information they need, when they need it, to enhance efficiency and safety. Weather radar display shows potentially hazardous weather in a graphical format, localized spatially on a map, making it easy for pilots to understand and make critical in-flight routing decisions. Cumulonimbus cloud display allows pilots to get a vertical view of potential storm clouds. This lets them compare weather conditions at different altitudes, making routing safer and more efficient. Clear air turbulence prediction display clearly shows potential areas of greater turbulence, making flights safer and helping to reduce aircraft damage and maintenance. Satellite-derived cloud heights allow a more accurate look at the changing weather so pilots can avoid hazards. 3-D winds aloft show direction and speed of wind in an aircraft's flight path so pilots can choose the best possible route, helping to reduce fuel use and emissions. "You can always find examples where having a pilot in the loop will be the determining factor." Those are the words of Fabrice Bregier, the chief executive officer of Airbus' commercial airliner unit, as quoted in a story by Bloomberg and other media outlets. Bregier was speaking to reporters at a briefing in Paris over the weekend. In the aftermath of the crash of Germanwings Flight 9525 last month, some in the airline industry have publicly questioned whether having more automation in the cockpit would have prevented what happened. Prosecutors allege that co-pilot Andreas Lubitz deliberately locked the captain out of the flight deck after he got up to use the restroom, and that Lubitz then intentionally descended the plane and slammed it into the side of the French Alps, killing all 150 on board. Bregier said the role of pilots is critical. "Having pilots in the loop will still have a critical role in assuring aircraft security," Bregier said. German air traffic control monitors Deutsche Flugsicherung has already said it was developing an automatic protocol in which ground control could take over the controls of an aircraft in an emergency. Bregier said the industry, while improving technology to the point where accidents have been cut in half, should nonetheless avoid being so hasty to develop a fully automated, pilot-less commercial plane. "To say that we'll leave two people in the cockpit is a measure of good sense," Bregier said. "Will that be sufficient? It's not for me to decide. But I think we shouldn't swing from one extreme to the other in saying we need to protect passengers from the pilots." An Israeli plane made an emergency landing in Israel on Tuesday amid fears that one of its tires was damaged, causing authorities to turn the flight around and order it back to the ground. The drama started shortly after routine flight 2521 to Prague by El Al's budget carrier Up! took off from runway 24 on a Boeing 737 aircraft carrying 181 passengers and crew. With the plane already in the air, officials found peeled pieces of tire on the tarmac and decided to recall the aircraft to Ben Gurion Airport in order to repair the damage. Airport officials took no chances and declared the incident an emergency situation, marshaling fire-fighting crews, Magen David Adom ambulances, and motorcycle paramedics alongside the runway as the plane returned. Other flights to Israel's main international hub were put on hold as the damaged plane circled overhead before coming in for a safe landing. "In order to repair the tire it was decided to return the plane to Ben Gurion. El Al sees flight safety as an utmost priority and does not compromise on the matter," the company said in a statement. Europe's slow growth and sinking currency have meant boom times for Kevin McCutcheon, an American who buys used private jets to resell in the U.S. He's bought six aircraft in Europe and is negotiating for a seventh, a Cessna Citation in Germany, in less than two years. He's finding plenty of bargain shoppers back home. Small and midsized U.S. companies and wealthy individuals are buying up Europe's second-hand jets as that region's economic woes spur owners to put their Falcons, CJ3's and Excels on the market. In the last two years, the number of foreign jets sold in the U.S. jumped 45 percent to 371 from the previous two years, according to JetNet LLC, a Utica, New York-based research firm. The trend is accelerating this year with the dollar's gains, which began in the summer. Of 48 European used jets sold from December through February, almost half, or 21, were bought by U.S. buyers. In the same period a year earlier, only 15 percent went to the U.S., according to Michael Chase, a private-aviation consultant. Retail prices range from a couple million to as much as $65 million. Buyers also are benefiting from a glut of jets created by the 2008 financial crisis. In the boom years before, the market for new jets was so hot that sometimes people ordered them with the intention to flip at a profit. ''That stopped overnight with Lehman Brothers and people were stuck with their airplane,'' said Dannys Famin, managing director of Paris-based Unijet, which manages jet aircraft for companies and individuals. The inventory is now being worked off with the return of U.S. buyers. When Famin put a used Cessna private jet up for sale in Paris last year, he got no European bidders. Instead, he quickly found U.S. buyers and sold the 9-passenger Citation CJ3 jet for 10 percent more than anticipated, he said. The jet retails new for about $8 million. ''I got a better price and the selling period was shorter,'' Famin said. Thanks to the strong dollar, American buyers pay about 25 percent less for a used jet in Europe than one in the U.S., McCutcheon said. That is offset in part by extra travel for inspections and negotiations as well as higher costs to meet U.S. regulations and to transport the foreign planes, he said. Fermin's jet's journey from Paris included stops for fuel at airports in Reykjavik, Iceland, and Goose Bay, Newfoundland, before landing in New York. Renovation is another cost. McCutcheon spent $2.2 million to overhaul a Cessna Citation Excel that he bought in the U.K. last year. He sold it to Stephen Slaggie, a co-founder of Fastenal Co., who stepped down from the board last year and owns a 3.4 percent stake in the company. He confirmed the plane's purchase. The jump in U.S. sales comes amid a general strengthening of the used-jet market, which amounted to about $11.7 billion last year. Secondhand-jet transactions worldwide increased 8 percent in 2014 over the previous year and the average number of days aircraft were on the market fell by 42 to 350, Chase said. Desire for a bigger jet drives some deals. RPC Inc., an Atlanta-based company that sells oilfield services and equipment, paid $5.1 million for a Cessna Citation XLS in January that was imported from the U.K. to replace a smaller Cessna, said Jim Landers, vice president of corporate finance. RPC flies to remote locations such as Midland, Texas, and Minot, North Dakota, where it's sometimes difficult to find commercial flights, Landers said. In December, U.S. owners bought two Dassault Falcon 900 business jets from Blue Chip Jet to acquire larger jets, said Lars Karlsson, managing director of the Gothenburg, Sweden-based aviation company. ''It's all about finding yourself a buyer and this happened to be an American buyer," Karlsson said. The purchaser of one Falcon is registered under Moinian Jet One Holdings LLC and the other is under Easy Leasing LLC, with an address that's shared with Stone Point Capital in Greenwich, Connecticut. The Moinian Group, a New York-based real estate company, and Stone Point didn't return telephone messages and e-mails seeking comment. In the last two months, London-based aircraft brokerage The Jet Business sold three foreign jets into the U.S. market and four out of the six deals it's working on now will be planes going to U.S. buyers from abroad, said founder Steve Varsano. "The U.S. economy is getting better, and one of the sure places to see that is corporations and entrepreneurial businesses looking to buy more pre-owned aircraft," Varsano said. U.S. airlines are pressing the U.S. to revise open skies agreements with Emirates Airline, Etihad Airways and Qatar Airways, claiming to have found documents that support claims the trio have received unfair benefits and subsidies. As the battle intensifies over U.S. airlines' allegations of unfair state subsidies to three Persian Gulf rivals, a look at how the American carriers gathered data to support their claims sheds light on the vast financial reporting divide between the two sides. Alarmed by the rapid U.S. expansion of Emirates Airline, Etihad Airways and Qatar Airways, Delta Air Lines Inc. two years ago hired forensic accountants to learn more about the overseas carriers' funding. All three are government-owned, and Etihad and Qatar don't issue public financial statements. The effort-later joined by American Airlines Group Inc. and United Continental Holdings Inc.-culminated in a trade complaint lodged in January with the U.S. government. The U.S. carriers claim the documents they found show the Gulf trio has received $42 billion in subsidies and unfair benefits since 2004, including about $17 billion for Abu Dhabi-based Etihad, and $16 billion for Doha-based Qatar Airways. 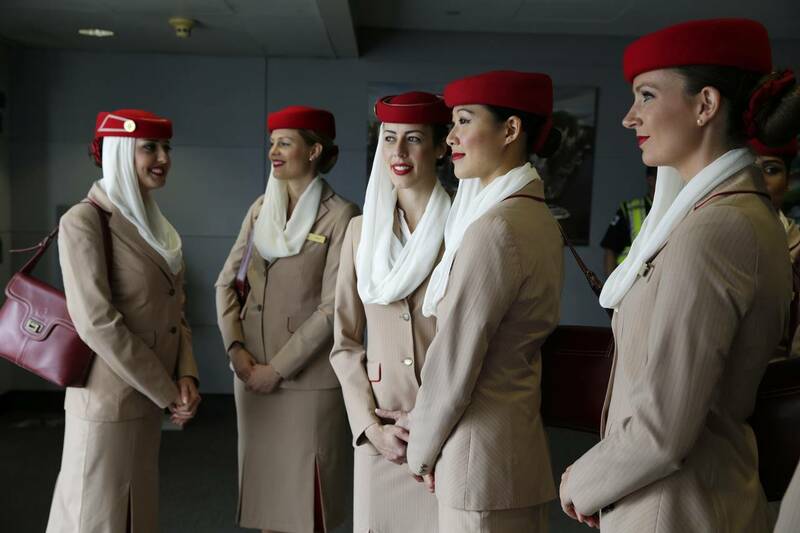 The Gulf carriers say they are commercial enterprises that aren't state subsidized. The U.S. airlines said they amassed 44 documents totaling 1,021 pages. The Wall Street Journal has viewed many of them, at least one of which is in Flemish. Among other information, they indicate that international auditors at times endorsed two of the airlines as viable businesses-or "going concerns"-contingent on further financial backing from their shareholders. In Etihad's 2013 annual report, for example, KPMG LLP said it audited the accounts on a going-concern basis "notwithstanding the fact that the group had accumulated losses of $3.76 billion" as of December 2013. KPMG said it had prepared the 2013 statements based on approval of $3.5 billion in additional shareholder funding in 2014 by Abu Dhabi's ruling body. Etihad says it has received equity investments and loans from its government. It says it can't comment on specific claims because it hasn't seen the full documentation behind the U.S. carriers' previously issued summary. In Qatar Airways' 2009 financial statement, auditor Ernst & Young LLP reported that the current- and previous-year losses exceeded 50% of company capital. A special meeting was convened that year to weigh options including dissolving the company. Shareholders decided instead to fund its liabilities. In the same statement, the auditors noted that the government loans were non-interest bearing, had no specific repayment terms and could be converted to equity because repayment wasn't likely to occur in the foreseeable future. Qatar Airways said Chief Executive Akbar Al Baker is expected to address the U.S. carriers' allegations in presentations scheduled for May 13. Emirates declined to comment on the hedging contracts. Last week, it said it had requested that the U.S. government release the materials received from the U.S. airlines, as well as information it had requested from them, so Emirates can "defend itself against the pernicious falsehoods that have wrongly been advanced against it." Emirates, Etihad and Qatar Airways say they abide by International Financial Reporting Standards. Qatar's books also make that claim. All three companies say they have earned their burgeoning traffic with superior service and a range of new destinations. KPMG, PricewaterhouseCoopers, and Ernst & Young declined to comment on client accounts. The U.S. carriers want the Obama administration to revise existing "open skies" air treaties with Qatar and the United Arab Emirates to account for the purported government aid. Meanwhile, the U.S. carriers also want the government to freeze additional Gulf airline service to the U.S., retroactive to January, restricting planned new routes.